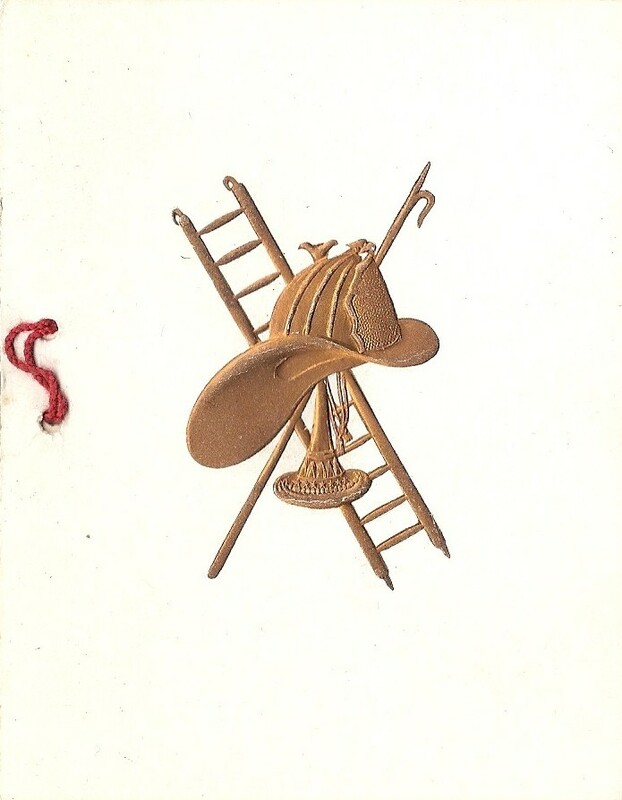 On May 9, 1893, the Middleborough Fireman’s Mutual Relief Association was organized with the aim of providing financial assistance to members who were injured in the line of duty. 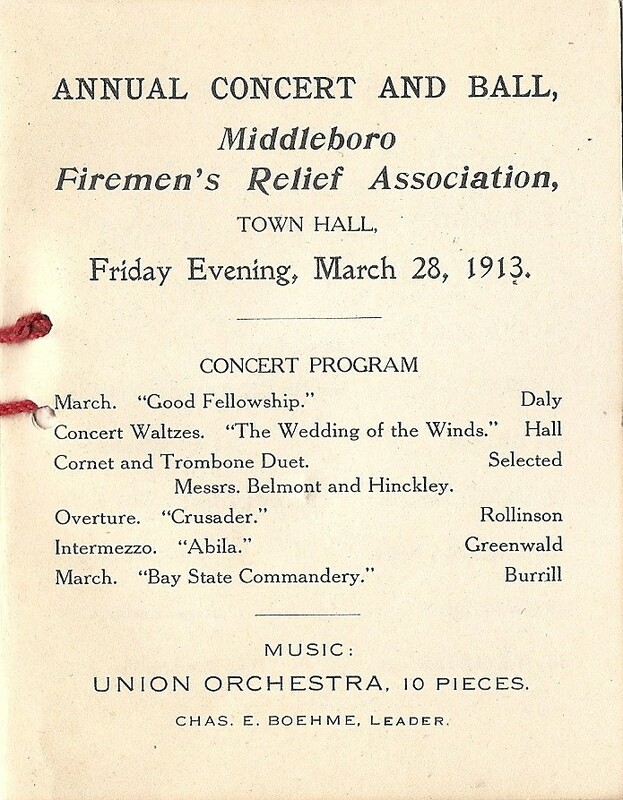 In order to raise funds for this purpose, the Association (the forerunner of the Middleboro Fireman’s Association) began sponsoring balls, the first Firemen’s Ball being held, most likely, in 1893. 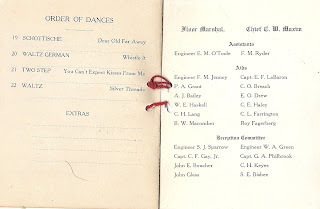 Previously there had always been a large social component to the activities of the Middleborough Fire Department, including suppers and dances. 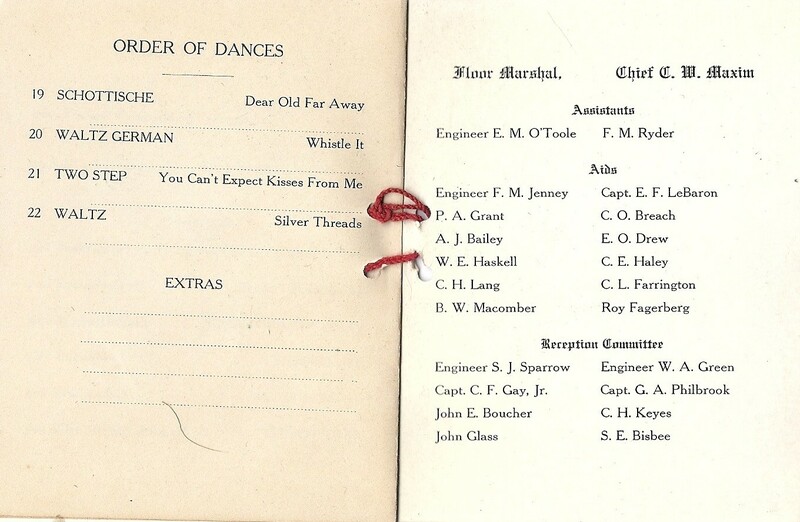 Dances were held in the hall above the former central fire station on School Street, and occasionally became so rowdy that use of the hall had to be suspended. The Firemen’s Balls were less raucous but more popular affairs. The balls were usually held in Middleborough Town Hall in February of each year and were attended by literally hundreds of guests. 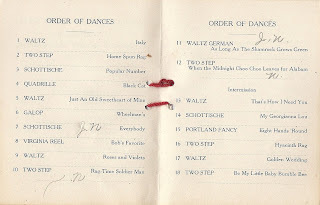 700 participants alone were recorded as having attended the 1923 ball. Music, dancing and the finest refreshments from local vendors were featured at each ball which helped relieve the monotony of winter and made the Firemen’s Ball the most anticipated social event of each year. 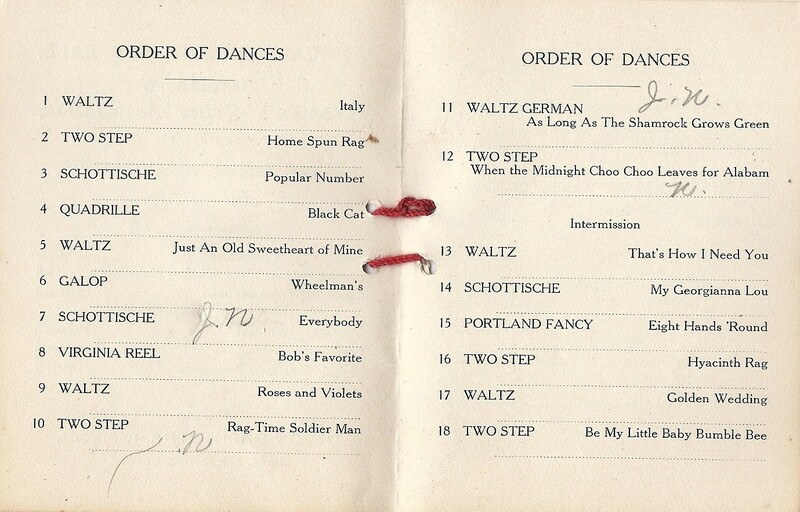 The 1922 ball was described as the “most brilliant of the season”. 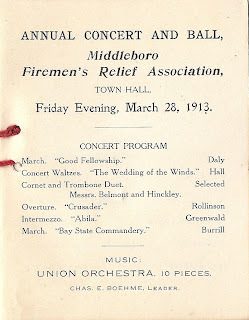 While the funds raised by the balls were typically devoted to the use of the veterans and members of the Middleborough Fire Department, during World War I proceeds were donated to various war-related causes, including the soldiers at Fort Devens in 1918 and the Red Cross in 1919. The Firemen’s Balls seem to have lapsed with the onset of the Depression, the last noted in the Middleboro Gazette being that of 1930. Always great reading. Thanks again!